It seems as though it is the year of go anywhere Bluetooth speakers, as we have another review for you in this category and the contender is Nuu and their Splash. The Splash is a compact Bluetooth speaker that is built to withstand the elements while sporting an elegant look that would be at home in most any room in the house. A microphone is also packed into this aluminum speaker making it easy to conduct business when you have to or just need to take a quick call without having to dig for your phone. 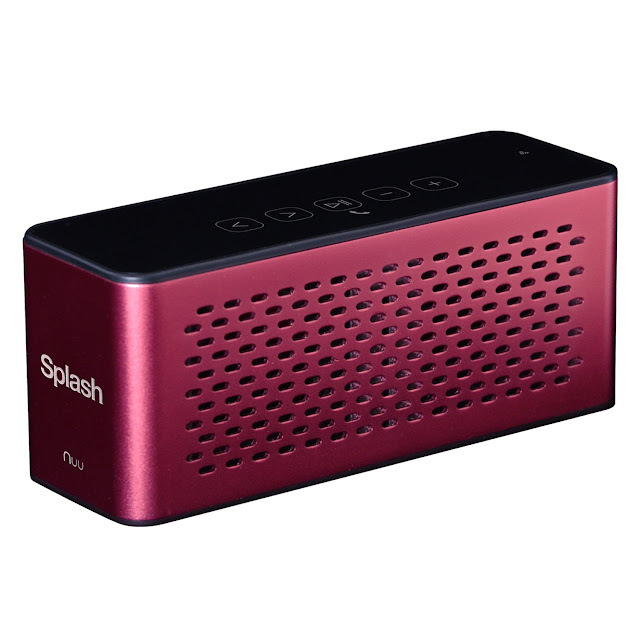 The reason that this portable speaker is dubbed Splash is because it has an IP55 rating, which means it is resistant to both dust and water, so you don’t have to worry about being overly careful with it like most other electronics. 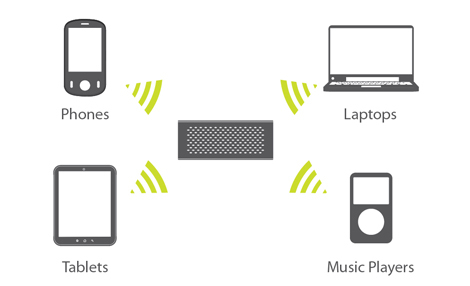 I have spent a lot of time with a number of Bluetooth speakers and after seeing a lot of companies are going the more compact route, with around 10-12 hours of playtime, and making them sturdy. So what sets one apart from the other? The answer would be price and features. Some have microphones and rugged standards, others have charging capabilities, and the Splash has a pretty solid trifecta going for itself, but what really makes it stand out in a saturated market? The Splash’s price point. Sure it does a lot of things in which the others can do well, but the price is my selling point. At a price of 99 dollars, it does everything the others can do just as well at a much lower price point. I could see where Nuu was going when they designed the Splash, it tries to offer everything but kitchen sink with the lower price point, I would like to think I can tell where where corners had to be cut to offer at the hundred dollar price. The first would be the battery, as it does not last quite as long as most others and drops significantly at high volumes. While it does claim to be tough and rugged, it definitely does not look the part with the aluminum body and glossy top, as it looks like a small drop will scratch or crack the top and body. I am hard pressed to say anything bad about this little speaker. While it does not do much to stand out above the rest. It does a great job of performing as well, if not better than those out there at almost half the price. While I am not one that puts a lot of faith in newer electronics companies as many come and go, but few companies and products stand out to me during a review and shockingly, the Splash is a diamond in the rough. Not for being extraordinary, but for doing what they do well, only at a more affordable price tag.